Diseases of the stomach are found in almost every third person. First, the different types of gastritis and peptic ulcer disease. But may occur in more serious diseases, such as tumor lesion of the body wall with the development of metastases. The gold standard in the diagnosis of diseases of the stomach is fibroezofagogastroduodenoscopy, allowing the doctor to visually assess the condition of the mucous membrane of the body and to conclude the necessary treatment. But such a procedure may not always give an accurate answer about the defeat of the stomach. Then use gastroscopy with biopsy morphological studies on after the pre-paint obtained gastric sample. EGD with biopsy is a combination of two diagnostic methods – fibrogastroduodenoscopy (FGS, EGD) with fine-needle biopsy and subsequent morphological analysis of the sample of the gastric mucosa. 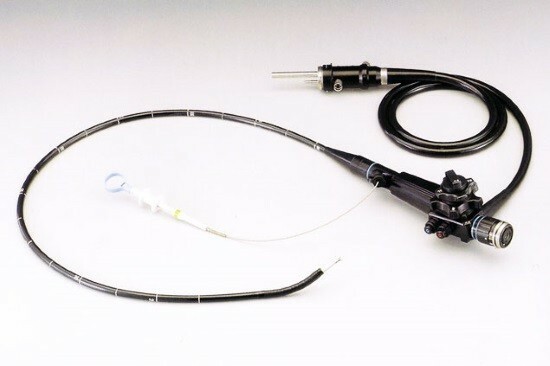 When conducting FGS, through the esophagus into the stomach inserts a thin flexible probe with camera and light source. 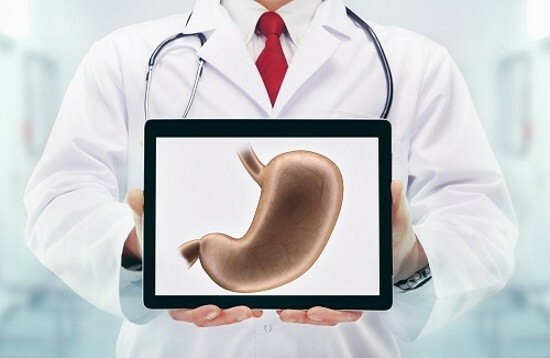 This allows you to visually assess the condition of the mucous membrane of the esophagus and the stomach, identifying pathological processes of the wall of the: inflammation, ulcers, tumour growth, etc. aspiration, when the cells of the body receive through special suction. In each case, a certain kind of method must be selected individually. A biopsy of the stomach is of two types – targeted and blind. In the first case, the doctor visually monitors the procedure and can choose any area of the body for further analysis. Typically, you choose the tissue with the most pronounced pathological changes (erosion, bleeding vessels, etc.). When a blind method, a fragment of mucosa is drawn without visual control. The need for differential diagnosis of ulcerative process and tumor growth in the form of ulcers. Early detection of precancerous and neoplastic changes in the cells of the gastric mucosa. Difficult diagnostic situations (Crohn’s disease with lesions of the stomach, slacocasino the edges of the ulcer, etc.). Determination of H. pylori infection with the help of morphological studies. The procedure should be done only after consultation with the attending physician and a physician-gastroenterologist. Decompensated condition of any disease of internal organs (respiratory, cardiovascular, urinary system, etc.). Conditions and diseases that lead to obstruction of the esophagus or intestines. Psychiatric disorders in a patient. Acute infectious diseases and exacerbation of chronic infections. Inflammatory processes in the larynx, nasal cavity and pharynx. If the patient has no contraindications, then start preparing for the study. Preparation for EGD with gastric biopsy requires no special events, however, there are several recommendations for patients. The attending physician should prepare the patient psychologically for the procedure, explain the risks and possible complications and describe course of study and required activities. A few days before the study to stop taking alcohol, spicy and hot dishes. 3-4 hours before analysis is not to take food or liquid. The night before the study the patient may be sedated to reduce stress levels. Do not take medicines that can reduce the effectiveness of hemostasis (Aspirin, etc.). If the patient has an increased gag reflex, it is possible to use local anesthetics. Gastroscopy with biopsies performed in conditions of endoscopic office by specially trained physicians. Uses a special flexible endoscope equipped with a light source and a small video camera, allowing you to keep visual control over the procedure. It is important to observe the method of procedure to minimize the risk of complications. The probe is gently introduced into the esophagus through the mouth and gently pushed into the stomach. As a rule, already at this stage, the treating physician closely monitors the image and evaluates the mucous tissue. When injected into the stomach probe allows you to explore all its walls and, if necessary, to assess the condition of the duodenum. Biopsy this involves aiming, i.e. it gets «suspicious» portion of the mucosa. Upon completion of the survey probe is removed and the patient can immediately leave the treatment facility if you have not used anesthesia. If used, the anesthesia, the patient left in the hospital for some time for observation. In the result of inflating the stomach with air, nausea, belching, flatulence and bloating in the epigastric region. Such discomfort passes within a few hours without treatment. If you have violated the conditions of sterility, probably the ingestion of various bacteria. When breaches of procedure possible trauma to the wall of the esophagus and stomach with the development of bleeding. With the development of complications it is necessary to stop the procedure and start therapeutic measures. Gastroscopic examination with biopsy is the gold standard in the diagnosis of diseases affecting the stomach, in particular, various precancerous and neoplastic processes. Proper preparation of the patient and follow the rules of procedure allows to obtain informative results with the lowest risk of complications. Additional morphological evaluation of biopsy material of the mucous membrane increases diagnostic accuracy and improves long-term prognosis of treatment.